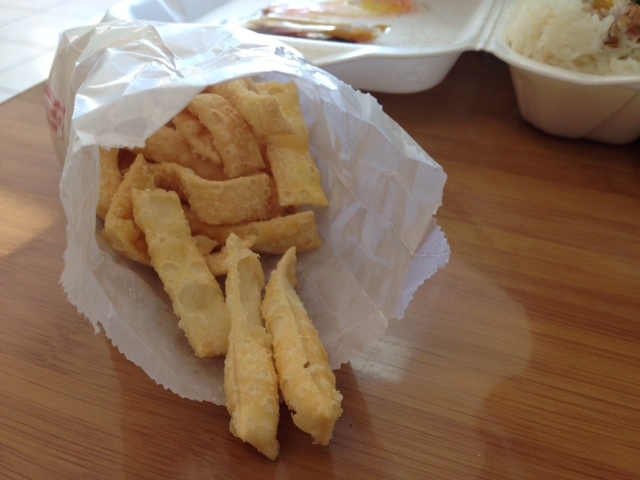 It is really ridiculous that it’s taken me this long to write up a review for Hunan Delight. I’ve been coming here for 5 years since it’s at the top of the block that I live on and it’s WAY better than average chinese food. The Japanese food is pretty darn good too- but I usually stick with Chinese. If you live on the UES and haven’t ordered in or dined here, you are truly missing out. My boyfriend and I are regulars for both delivery and dining in- we go almost weekly. It’s best to eat there because you get FREE WINE with dinner. The wine is actually pretty good too! When you get delivery, it’s super fast and hot- but the crunchy noodles and duck sauce are not as good as the ones you get when you eat there. The food is plentiful, inexpensive and reliably good. Today we shared the moo shi vegetables with pancakes as well as the healthy steamed shrimp option with 6 vegetables (mushrooms, black mushrooms, jicama, carrots, baby corn, and bok choy) and sauce of our choice (garlic). As always, the food was great quality, served quickly and with friendly banter. 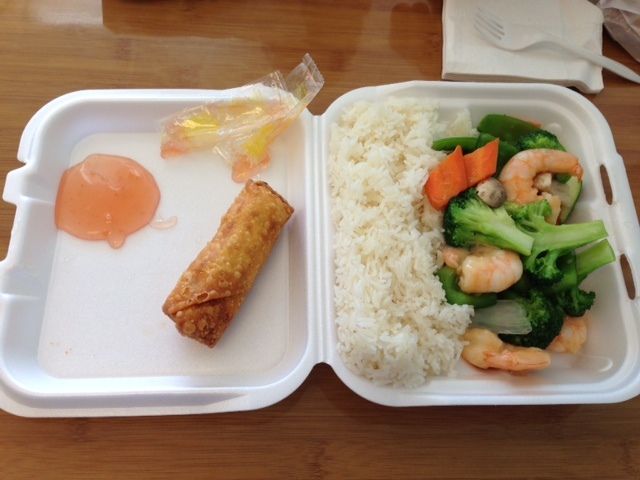 We often get the healthy steamed choices with either chicken or shrimp and for the price it’s a great deal. The lunch specials are also an amazing bang for the buck. I recommend the BBQ spareribs, crab rangoon, cashew chicken and juicy dumplings. Everything they make is really surprisingly good. No need to trek down to chinatown! I will DEEPLY miss Hunan Delight when we move away from NYC next month. I hope you will continue going there on my behalf. BRAVO Hunan, I wish more restaurants up here were as fairly priced and awesome as you. I am on the email list for http://www.hungry-girl.com/ and recently got one that highlighted wonton wrappers as a great low calorie food to work with. Inspired, I decided to look for them on my next supermarket shopping trip. My boyfriend and I got excited about something new to get creative with and started thinking about the rest of the meal. We picked up a package of frozen, whole, baby squid, some assorted veggies and a few bottled sauces and we were on our way. This was officially the first meal that we prepared as a team and it was a great success! What better activity than hand-filling and wrapping wontons and prepping tons of veggies? Well, I suppose the ‘eating it’ part was pretty awesome too. Cut up all of the veggies into tiny pieces. If you have a food processor, this would be great time to get it out. If you don’t, like us, be prepared to chop for a pretty good chunk of time. Put it all into a bowl. Add all of the liquids (except the chicken broth!) to taste. Mix everything really well. Put about a teaspoon of the filling in the middle of a wonton. Wet the edges of the wrapper with water using your finger and seal it up as best you can (we found there were a few different effective ways to do this). Fill as many wontons as you can, leaving about a 1/4 cup of the mixture in the bowl. In a large pot, bring the chicken broth to a boil. Carefully drop in a dozen or so wontons (3-4 per person) and bring back to a boil for a few minutes. Add the rest of the mixture from the bowl into the pot, stir carefully and continue boiling for another minute or 2. Meanwhile, with all of the those wonderful leftover wontons, spray a baking sheet covered in aluminum foil with Pam. Put the wontons on it. Spray the top of the wontons with a little more Pam and bake at 400 degrees for about 10 minutes or until brown and crispy. Let them rest on paper towels for a few minutes before serving. These are also great floating in the soup when you eat the rest of the ones that were in there already and end up with a bowl of broth. Whisk all of the liquids and the cilantro together in a small bowl or measuring cup. Set aside. Spray a little coconut oil in a wok and get it up to a high heat. Add in the veggies in small enough batches to stir fry them and transfer to a bowl as needed. Re-spray the wok in between batches and continue until all of the veggies are in the bowl. Saute the squid for just a few minutes and then add some of the sauce on top for a few more minutes. Add the rest of the sauce over the bowl of veggies and stir everything together. The verdict is that we are most *definitely* going to be buying more wonton wrappers to play around with. I feel like the possibilities are endless and I’m thrilled to have a new ingredient under my sleeve to experiment with. I plan to fill them with crab-stuffed mushrooms next…stay tuned!